WASHINGTON (AP) - CIA Director Leon Panetta incorrectly predicted Thursday that Egyptian President Hosni Mubarak could step down by day's end, even as he and other top U.S. intelligence officials defended their work interpreting swift-moving political upheaval in the Middle East. Panetta said that although U.S. intelligence agencies did not know that the U.S.-backed leader of Tunisia would quit when he did, they had sharpened their analysis as a political revolt threatened to topple the hardline Egyptian regime. "Those are the kinds of things that are obviously very tough for intelligence to predict, but I think our job is to collect as much as we can, to know those triggers," Panetta told the House Intelligence Committee. The committee chairman, Rep. Mike Rogers, R-Mich., had asked Panetta about media reports Thursday that a Mubarak exit was imminent. Panetta strongly suggested that those reports matched his own information. "And, frankly, because of what happened in Tunisia, we were in a better place to look at Egypt and what was happening in Egypt," he continued. "We provided a number of reports about what was taking place there. We teed up these issues. And as you can see, I got the same information you did, that there is a strong likelihood that Mubarak may step down this evening." Hours later, Mubarak told his nation he would delegate power but stay in office until next September. A senior intelligence official said Panetta was referring to press reports in his comments on Capitol Hill, not to CIA intelligence reports. The official requested anonymity to discuss matters of intelligence. Director of National Intelligence James Clapper gave U.S. intelligence agencies a "B+" on Egypt, in remarks to the committee laying out intelligence priorities for the coming year. But he and Panetta said while they can forecast unrest they cannot predict the spark that drives a long-suppressed group of people out onto the streets. He and Panetta led the defense of the intelligence community's performance even as they both vowed to do better. "We can reduce the uncertainty" but cannot eliminate it, Clapper said. "We are not clairvoyant." Clapper said he had reviewed "thousands" of intelligence reports, and concluded that intelligence community had done "yeoman's work" tracking the revolts in Tunisia and Egypt, providing detailed accurate reports on a "very dynamic fast-changing situation." Panetta compared it to predicting an earthquake. "People can tell you where the tremors are ... and even that the threat is close," Panetta said, "but they can't tell you when an earthquake is going to take place." Panetta said some 400 intelligence reports over the past year warned of the potential for revolt throughout the region. The spy chief said he asked all his station chiefs to examine issues like the "popular sentiments . the strength of the opposition," and "the role of the internet" in their countries, as social media sites like Facebook and Twitter were key tools for the organizers of the Arab revolts. 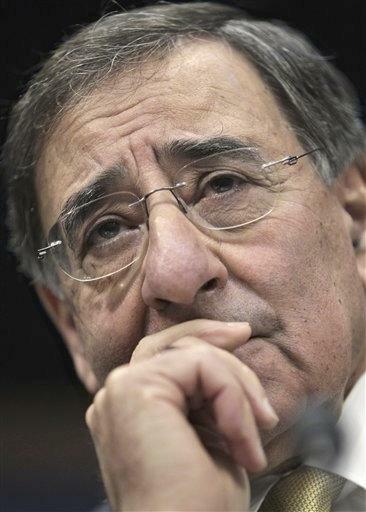 That was no promise they'd predict the next revolt, however, Panetta said. "Our biggest problem is always, how do we get into the head of somebody?" He explained why the intelligence community had incorrectly predicted Tunisian President Zine El Abidine Ben Ali would stay, a mistake that angered President Barack Obama. "I think everybody assumed the dictator . was going to basically crush any kind of demonstration," he said. "I don't think (Ben Ali) even knew he was going to get the hell out of town until he decided to jump on a plane and leave."